A dancing busker has drawn flak for allegedly harassing women while performing. 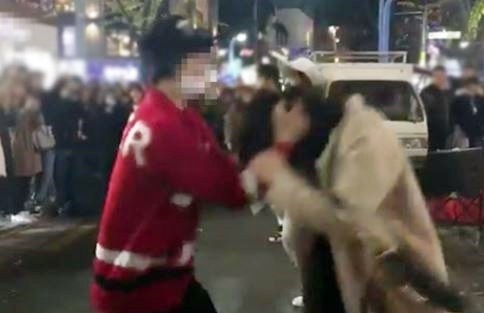 A short video clip uploaded on social media Sunday showed the street dance performer grabbing a female audience member by her hair in the middle of a performance in Hongdae, a district in Seoul known as a hotbed for youths and buskers. After the post spread online, some commenters said that the busking team has repeatedly grabbed female spectators’ hair during performances. They added that the act amounts to harassment.